A broken leg is a serious injury that is not only very painful, but can impact your mobility and quality of living. The Chicago bone fracture attorneys of Rosenfeld Injury Lawyers LLC understand that a fractured leg can prevent you from earning a living, require extensive and costly medical treatment and result in a long period of pain and suffering. For this reason, we are very aggressive in the pursuit of compensation on behalf of our clients and do everything we can to connect them with medical professionals that are able to help them recover from their injuries in the most efficient and least painful manner possible. As you are already aware, the legs are vital to our mobility and support nearly the entire weight of our bodies. Each leg is composed of four bones and three joints which are supported by ligaments, tendons and muscles; all of which work in tandem to allow the leg to move. The bones and joints that make up each leg follow below. Femur— the femur is the longest bone in the human body and also the strongest. Its average length is nearly 19.9 inches and the bone extends from the hip to the knee; comprising the thigh. About one quarter of your height comes from your thigh. Tibia— the tibia is one of two bones that make up the lower leg and is often considered the shin bone. Most fractures of the leg occur to this bone, which averages 16.9 inches in length. Fibula— on the outside of the lower leg lays the fibula, which doesn't bear much weight and merely reinforces the tibia. Its average length is 15.9 inches. Patella— the patella protects the knee joint and is most commonly referred to as the knee cap. It is located where the femur meets the joint and provides protection primarily to the front of the knee rather than the sides. The Ankle— the ankle is a series of three joints which work to absorb impact, connect the lower leg to the foot and provide mobility to the lower body. The three joints that comprise the ankle are the talocrural joint, subtalar joint and tibiofibular joint. In order to help you understand the seriousness of these injuries and the care required for a proper recovery, our Illinois personal injury lawyers have provided the following information about the types of breaks that commonly occur to the legs. Suffering from a broken leg severely impacts mobility, making it extremely difficult for someone to handle menial tasks or perform job functions. Here are some forms of broken legs we deal with on a regular basis. Closed fractures— these are often referred to as simple fractures because the broken bone has not resulted in damage to tissue nearby or broken through the skin. Treatment involves isolating the leg and setting the bone fragments so that the bone can heal naturally. Open fractures— as the name implies, these fractures break through the skin and result in open wounds. Complete fractures— these fractures are designated by the complete separation of the bone during the break. Incomplete fractures— as the name implies, these fractures occur when parts of the bone remain connected. Spiral fracture— these fractures result from forces that twist the bone until it breaks and can result in more severe damage to the bone as a result. Surgical repair and implants may be required to help the bones heal properly. Impacted fracture— caused by two bones being forced into one another, these fractures often result in damage to the joint connecting each bone as well. Comminuted fracture— more commonly referred to as a shattered bone, these fractures involve multiple breaks that may cause the fragmentation of the bone in many places. Surgeries may be required to pin or screw the fragments together while they heal. 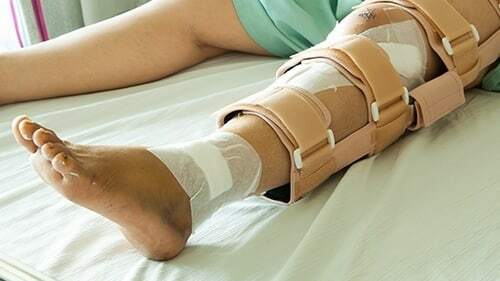 There are many ways you can suffer from a broken leg which include being involved in a car accident, workplace accident, sports related accident, motorcycle crash, or being injured by a defective product or machine. Regardless of the reason you've been injured, our Illinois personal injury lawyers understand that you aren't looking forward to accumulating a great deal of debt due to expensive medical treatments and time spent at home recovering. If your injuries are due to someone else's irresponsible or negligent behavior, you have the right to recover your medical costs, lost wages and compensation in the value of your pain and suffering or lowered quality of living. Rosenfeld Injury Lawyers LLC is an award winning and leading personal injury law firm that has a long track record of success in Illinois. We've recovered compensation on behalf of thousands of clients and would be happy to review your case and educate you on your legal options at no cost or obligation to you. 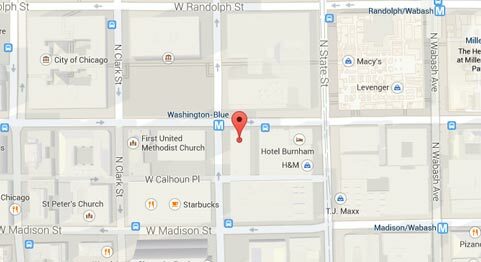 Contact us today to arrange your consultation with one of our qualified Chicago personal injury attorneys. It is our guarantee that you will never be required to pay an attorney's fee unless we are able to secure damages on your behalf.